"Hollywood actor Jeremy Piven leaves David Mamet play because of Mercury Poisoning. He is going into SUSHI REHAB" screams the headline. If that sounds like it's from the planet Mars, you'd better know now that the fish food chain is prone to collecting Mercury from the ocean. Fish who eat a lot of other fish get it and then the human who eats that tuna sushi on the very top of the food chain REALLY gets it. His holistic doctor tested him and found a problem, trust me on that because no actor wants to leave a hit Broadway play! If you think your dental mercury has poisoned you, or you ate too many top of the chain fish, clams or sushi and there may be mercury in your system, you need to CHELATE it out. But also, if there's a stroke tendency, heart attack tendency in your family or if cataracts are visible on your eye's iris, you need to start now cleaning out your veins of the other things that collect in the body, fat and salt. How'd we get those toxins? Heavy metals, Minerals and Salts taken into the body in excess have to be stored somewhere. They can't be excreted if you eat them in large quantities. Minerals like salt combine with hardened fat from that steak to collect and settle as plaque in the veins and even in the smallest capillaries. 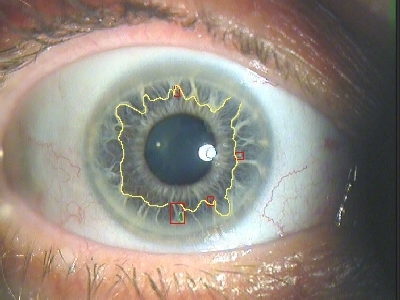 The tendency to plaque can be seen by iridology as SALT RINGS. (below) When the cloud is covering the entire iris, you have cataracts. The body has given you the signal that plaque is everywhere in the body. The remedy is to CHELATE the veins. Take a niacin after every meal, it flushes the tiniest capillaries especially if you use a slathering of the herb cilantro which melts fat and minerals. Google the term CHELATION. There are herbs (like cilantro) that tend to pull heavy metals out of any area body has stored it in. Chop it with some garlic, lemon and pepper and put it on all your savory meals, Eggs, meat, cheese. A SALT-BANISHING CHELATION can be accomplished by using a vegetable juice high in organic salts which will melt the inorganic salt that you've eaten and stored in your whole lifetime. Celery juice and watermelon juice are two favorite high-salt chelators holistic doctors fancy, they're high in organic sodium that you want flowing through you. High socium juices include watermelon and celery so that won't be a chore! And don't put any more table salt back in your veins. Use tamari diluted when you cook Soy sauce. Getting rid of salt means all that table salt you ate in last how many decades must now be taken out with celery juice or watermelon juice, high sodium juices. ORGANIC salt chelates inorganic. Salt is the brick in the plaque. THE MORTAR is beef fat. From now on, use natural salts. Full mineral. cheapest one you can find, isn't that kosher salt? Fancy is French or Himalayan, right? Of course you have to banish salt from your kitchen, stop eating in cafes, switch to salt-free foods. Then you really should go on a no-hard fats diet, as that is the gummy LARD that combines with inorganic minerals to cement the interiors of all the veins. And that means no 'transfats' in baked goods, no bacon, no sausage and no beef as all of these are so full of fat. Switch to simmered, skinless chicken, poached fish (the low mercury varieties,) with herbs and again, a no-salt diet. The cleansing of the body by chelation can be slow so it's better to catch the situation at the first sign of salt rings on the eye. Start right now by quickly studying your eyes' irises with a tiny flashlight and strong magnification mirror comparing what you see to the ONLINE GRAPHICS (go to GOOGLE IMAGE, first, put in search terms IRIS, HOLISTIC, DIET, IRIDOLOGIST and you'll only get grahics from KNOWN IRIDOLOGISTS or researchers on this science. Don't click on the graphic. In each case, go straight to the WEBPAGE (on the right side, that LIVE LINK) so that you can read the whole page. Don't worry, the graphics are there also. Every part of the iris of the eye rules another organ. Brain is at top. Feet at bottom. 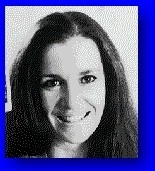 The iridology charts and a mirror and flash light will tell you where your venous congestion is. If just at top of the eye, damage is in brain only, an area where circulation can get low. You need a trampoline to get your lymph moving. Exercise and of course celery juice! If a parent or senior has plaque, evidenced by cataracts, you will put them on the diet and give celery juices but you'll also have to walk with them daily to get them started, to get them to realize, see the benefits. You may have to come over and exercise with them on the floor. Either that or insure their life with you as beneficiary! To inspire you or your favorite senior to change to healthfoods, READ UP ON THE PERFECT HOLISTIC DIET, the diet that heals. Special diets for special body situations. One diet prevents strokes. Another prevents or even reverses diabetes. Amplify your internet Google search, using terms like holistic, alternative and "Healing diet." Author Jed Cline says "There's nothing I like more than learning about inexpensive, common herbs or spices that exhibit unusual healing properties. Historically, the use of herbs and spices in cooking evolved as a method to preserve foods and make them safer to store and eat. While we've grown accustomed to using these items to enhanced or accentuate flavors of food, researchers continue to discover that they have much more to offer than just good taste. A recent example involves the work of Dr. Yoshiaki Omura. "Dr. Omura recently informed us that he discovered almost by accident, that the leaves of the coriander plant can accelerate the excretion of mercury, lead and aluminum from the body. He had been treating several patients for an eye infection called trachoma (granular conjunctivitis), which is caused by the micro-organism Chlamydia trachomatis. Following the standard treatment with antibiotics. Dr. Omura found that the patients' symptoms would clear up initially, then recur within a few month. He experienced similar difficulties in treating viral related problems like Herpes Simplex types I & II and Cytomegalovirus infection. After taking a closer look, Dr. Omura found those organisms seemed to hide and flourish in area of the body where there were concentrations of heavy metals like mercury, lead and aluminum. Somehow the organisms were able to use the toxic metals to protect themselves from the antibiotics. "Further testing revealed that eating cilantro also increased urinary excretion of lead and aluminum. And when cilantro was used concurrently with antibiotics or natural anti-viral agents and/ or fatty acids like EPA with D.A., the above infection could be eliminated for good. 'Dr. Omura has made a remarkable discovery. He's found a novel technique which greatly increases our ability to clear up recurring infections both viral and bacterial. And perhaps more exciting, he's discovered an inexpensive, easy way to remove (or "chelate") toxic metals from the nervous system and body tissue - one that anybody can use. "Chelation therapy using chemicals like EDTA has long been used to help remove these heavy metals, but cilantro is the only natural substance I'M aware of that has demonstrated this ability. This will become news for people suffering from the ill effect of amalgam dental fillings, which contains approximately 50% mercury.
" Dr. Omura recently performed another study in which three amalgam filling were removed from an individual using all of the precautions available to prevent absorption of the mercury from the amalgam. Even with strong air and water suction, water rinses, and a rubber dental dam, significant amounts of mercury were later found in the individual's lungs, kidneys,, endocrine organs, liver and heart. There was no mercury in these tissue prior to the amalgam removal. "Since some of the patients didn't like the taste of fresh cilantro, Dr. Omura had a pharmaceutical company create a 100 mg cilantro tablet. In the above dental study, one tablet was taken four times a day. As of yet, I haven't been able to find a tested commercial tablet of cilantro. It is believed that the active component in cilantro are easily destroyed during processing. For this reason, I recommend sticking to fresh herb. It can be eaten raw in soup or salad, on tacos, or as garnish with practically any dish. TO GIVE CHELATION A MEXICAN FLAVOR, leave out nuts, throw in avocado, tomato, garlic, minced jalapenos. We call it SALSA! "I would think it should also work if the cilantro were juiced, but perhaps the easiest and tastiest way to use the herb would be as the main ingredient in a home made pesto sauce. You can start with the basic recipe below and add other nuts and spices to suite your taste. "In light of the ever-worsening quality of our water and soil and the widespread use of metals in everyday items like deodorant and cans, I would seriously suspect that all of us have some toxic metals in our body. And unless they are carried out by a chelating agent, things like lead, aluminum and mercury remain in the body forever. Besides associated with arthritic condition, depression, muscle pain and weakness, memory loss and deterioration, and maybe even Alzheimer's disease. "I would highly recommend that you take advantage of this "poor man's chelation treatment". I'm in the process of doing it now my self and intend to do so at least once or twice a year from now on. All it takes is adding fresh cilantro to your everyday foods or eating a couple teaspoons of cilantro pesto a day for life. Either will give the dose that Dr. Omura used in his research. Judging by the price around here, that means you'd be spending less than a dollar for two weeks of cleansing! Of course, if you really don't like cilantro, you can always spend a thousands times that much on a series of intravenous chelation treatments..." Or use harm pharm your doc and the Pharm industry wants you to use, with all those side effects.. Hey, it's YOUR call.